Need More Clovers? 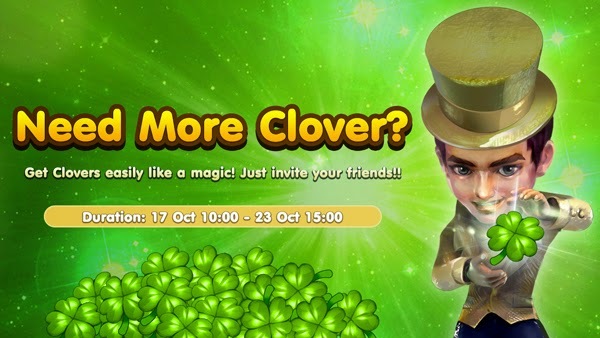 Get Clovers easily like magic! Just invite your friends!! Invite more & get more! Invite you friends and have fun together! ระยะเวลากิจกรรม : 17 ต.ค. 10.00 น. - 23 ต.ค. 15.00 น.